Care to be Different > Articles > Care Fees > How do I claim back care fees that have been paid? On the subject of wanting to claim back care fees we often hear from family members of circumstances where an individual has saved all their life, paid their taxes promptly, and when later in life they need help from the NHS – it is not available free – and they are forced down a route to pay for their own care. What happened to the NHS maxim set out in the NHS National Framework that care should be free at the point of need! Individuals can often pay somewhere between £500 and £1500 a week for privately funded care, which in certain circumstances, they may not have needed to pay for at all – if the individual had been properly assessed for eligibility for Continuing Healthcare Funding (CHCF) at the outset when they entered into the care or nursing home (including where care is provided in their own home); or were correctly re-assessed as their health deteriorated over time. Do not despair! You can follow a process to seek a refund of care costs that have incorrectly been paid. However, the process is involved and can be quite lengthy – so be prepared to be patient as the NHS only have limited resources to handle this type of review. 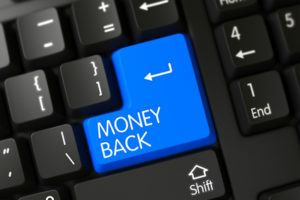 The good news is that a retrospective claim can be made at any stage of the process – but you can now only claim fees going back to 31st March 2012 unless you have already lodged a claim with the CCG before this date. Firstly, you need to write a letter of complaint and invite the relevant Clinical Commissioning Group (CCG) to undertake a retrospective review for past periods of care where care fees have been paid. 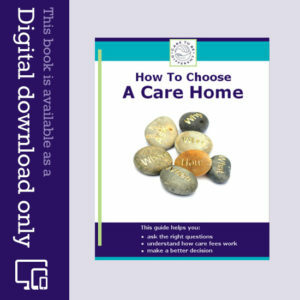 As part of the process, the CCG should obtain all the relevant care home and medical records (usually hospital and GP records) and provide their own Assessment in the form of a Decision Support Tool. Be patient as this could be a very lengthy process due to NHS understaffing and resources. The Needs Portrayal Document (NPD) (and/or Decision Support Tool (DST) will be sent to you for comment. This may be a lengthy document, on average often spanning somewhere between 40 to 60 pages – depending on the amount of records available. The DST should contain all the information from the various records and populate the relevant entries under the various care domains (Behaviour, Cognition, Psychological and Emotional Needs, Communication, Mobility, Nutrition, Food and Drink, Continence, Skin and Tissue Viability, Breathing, Drug Therapies etc., altered state of consciousness and any other significant care needs) and comment on the 4 Key Indicators (or ‘characteristics’) – nature, intensity, complexity and unpredictability of the health needs under each domain. The CCG will usually contact you to meet and go through their DST to discuss it. BEWARE! Whilst the CCG’s intentions may be admirable in that they want to give you an opportunity to explain the DST and give you an opportunity to add comment, you may also unwittingly make concessions or admissions, or agree to things that are inappropriate and indeed could have a detrimental effect on your claim – especially if you don’t know the patient’s health needs very well. Whilst it is important to engage with the CCG, it is not obligatory to meet with them or discuss their DST as this is more of a ‘box ticking’ exercise from their perspective to try and demonstrate fairness. Unless you agree with the DST as presented – which is highly unlikely – we would strongly suggest that you do not sign anything that purports to agree with their DST. You will need to prepare your own written submissions in reply. This can be quite a daunting, tedious and very laborious time-consuming task and you may need professional help to make the best go of it and to analyse and process the plethora of information. Essentially, to do the job properly you will need do the same exercise as the CCG, but in reverse. You will need to obtain all the relevant medical notes and care home records to check whether the CCG have either quoted partially or inadequately, misquoted, or indeed quoted selectively from the entries. Often they may have missed out lots of relevant entries that should have been included and which could boost your domain scores, add weight to your 4 Key Indicators and improve your overall chances of success. Sometimes they may paraphrase a medical entry or only refer to part of it, instead of accurately quoting the whole entry – which can then of course lead to an entirely different interpretation. Whilst this may not be deliberate, and done merely to save time (or even be due to a lack of training), if the entry is recorded in the notes then it only seems right that it should be stated accurately to give the full picture – and not simply adapted to what the CCG’s representative has thought relevant to convey. Unless the CCG decide to award CHCF based on their own/your submissions – which is extremely rare, the next stage is that the CCG will schedule the matter for an appointment at a Local Resolution Panel Meeting (LRM). Sometimes this can be done by way of a telephone conference. However it is more usual to attend the Panel Meeting in person. You should be given plenty notice of the hearing and you are able to attend and provide any missing information verbally. The Panel will hand down their Decision to the CCG who will then communicate the outcome to you. Again, given the NHS resources this could unfortunately take months rather than weeks before you hear anything. DON’T EXPECT SUCCESS at this stage. It is likely that the Panel will reject the claim at first instance, or at best only award a short period of Continuing Healthcare Funding. However, the process is now on the first rung of the ladder. If the Panel finds that there was no (or only limited) eligibility – DO NOT give up hope! If you disagree with the Decision you can appeal but you MUST lodge the appeal within 6 months of receiving the Panel’s Decision. The matter may be reviewed again at another Local Resolution Meeting or go straight to an Independent Review Panel (IRP) which is conducted by NHS England. We hear of families having much more success at the IRP stage, and again you should be invited to attend and provide further submissions and appeal. If all fails, the last resort is the Parliamentary & Health Service Ombudsman. They used to be able to overturn perverse decisions by the CCG Panels –where the Panel’s findings were clearly contrary to the evidence, but more latterly over the last few years, the PHSO have only been interested in looking at cases where there has been an abuse of process, rather than looking into whether the Decision was right or wrong. Manifestly, most cases that go to the PHSO do not succeed, unless there has been a clear breach of process. If you want to find out more information see the attached link to the National Framework for NHS Continuing Healthcare and NHS Nursing Care. This is a complicated, lengthy and emotive process as you will need to trawl through what could be hundreds and hundreds of pages of notes and records, understand their relevance to the DST, categorise them and then populate the relevant medical entries into your counter-submissions to prepare for your LRM. You may wish to consider obtaining some professional advice and to help so that you can meet the NHS on a level playing field and give yourself the best chance of success. Thanks for all the suggestions. Local authority not interested as relative was self funding. MP disinterested as little understanding of CHC, and dead relative can’t vote, plus he’s only active on (obtaining) Brexit issues. I think Media of all types is the way to go and constant prompting of NHS England and the CSU. Paul, are you suggesting suggesting I SAR the CSU and NHS England? I’ve prepped the case thus far from NHS and other notes, evidence weighs over 2kgs. What an excellent well written article. Paraphrasing or selective quotes is very true.You have to be prepared to trawl through all the care home and medical records yourself . Also beware that if you opt for IRP, ensure that all relevant records are passed to the NHS Chair otherwise you won’t even get past the screening process.If there has been selective evidence sent, then it won’t get to an IRP and be screened out.Getting professional advice is true because you may feel daunted when you are up against their medical experts so also read as much as you can about the medical conditions and the CHC process..Can write an essay presently about the National Framework ,I knew so much assessor thought I was a health professional .I’m not..This is the best chance of getting the right decision earlier. Thank you so much for your kind comments. It is clear to us even after many years of people trying to pursue these claims that not everyone understands what’s involved and how complex stressful and time-consuming it can be. Thank you for this article, the clearest I have read. I’ve lodged a retrospective claim with my late relative’s CSU. I sent them everything I’d prepared in March 2018 and they spent until early June obtaining the very same records. They’ve declined to obtain any third party records eg Social Services and care home because they’re not authorised to pay for them. Despite pointing out the GDPR changes mean there is no charge they are still keen to proceed without all evidence. However, they don’t publish any policy, procedure or timescales and at first insisted on referring to this as an appeal,when it is a period of unassessed care. I’ve been told they will produce a Needs Portrayal document and that I’ll be invited to a local resolution meeting to complete a DST for the unassessed period. I’ve already prepared this from the medical and other records I obtained, but still haven’t received any date from the CSU. I involved NHS England, because of the initial nonsense over 3rd party records and no published policies or procedures available, and lack of communication or updates. They contacted the CSU about this, but are still waiting for a response regarding when they will proceed to the Local Resolution meeting! Luckily all contact is recorded on email, and so when it likely ends up as an IRP , NHS England have “Live” evidence that the CSU couldn’t care less about rules or accountability. 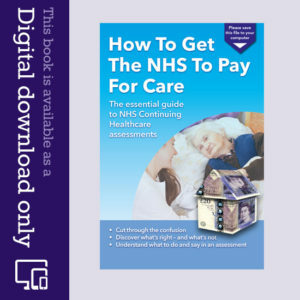 Using this site and Angela’s book, I won CHC for my relative for the final 18 months of their life, but was repeatedly fobbed off and actively prevented from getting an earlier assessment. Relative had 4 Severes when finally assessed, and so it’s pretty obvious they had Health Needs for some long time before eligibility was finally assessed. The CCG, CSUs and everyone in between make it as hard as possible to apply and to be treated fairly at every stage. Any suggestions as to how I go very public with this if I get no further progress from the CSU or NHS England please? You could always go on your local councils website and publish your concerns and use social media. Also if your area has any local online blogs . Just get it out there in the public domain. I had experienced similar problems with delays so eventually we engaged a professional advocate. She was excellent. The social worker and nurse that did the assessment had not even read my dads file . Blamed under funding and staff shortages. I wrote a letter of complaint after we had secured the funding . I also splattered it all over social media as i do feel very strongly that people who are eligible for the funded do not get it or help getting it. I have helped a few families locally with advise. Pointing them to this site and information gathered myself over the years.